Looking for a day trip, or perhaps an extended holiday in South Australia's premier holiday town on the Yorke Peninsula, then look no further than this list for the top 7 things to do while in Moonta. 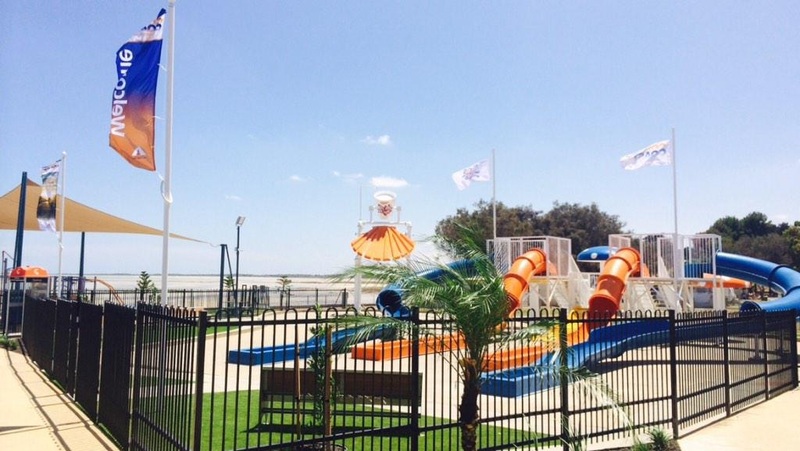 Located just 160km from Adelaide, or a casual drive along the dual laned Port Wakefield Road through Port Wakefield, and over The Hummocks, Moonta is at the heart of Australia's Little Cornwall and a popular seaside destination. A stop at Moonta is hardly worth the effort unless you stop at the Henry on George Café in the centre of town for a coffee and a quick bite to eat. Boasting the Peninsula's best coffee, Henry on George is open daily from 9am to 5pm and has a delightful range of cakes, toasted sandwiches and doorstops to treat. And for those looking for a slightly longer time, why not take advantage of the romantic and quaint bed and breakfast at the rear of the café. Located in the former Roach & Son's butchers shop, Henry's B&B can accommodate up to 5 persons, but is more suited to a couple looking for that romantic getaway. This 16km self-guided drive takes you on a grand tour of the town and the adjacent Moonta Mines with over 60 items of interest to see. 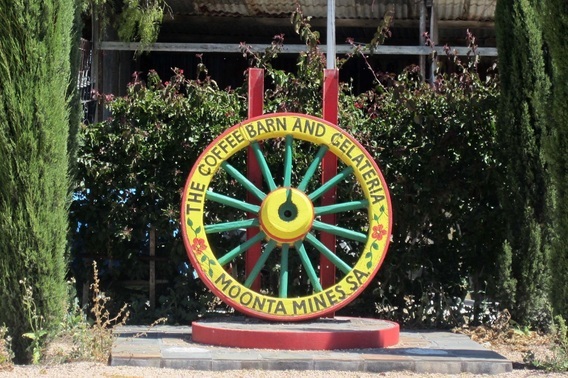 The Moonta Mines were at the centre of copper mining and production in the 19th Century and although times have passed, the owners of local residences and properties have done exceptionally well to restore many of the buildings back to a condition akin to their hey-day. On the tour around the town, opportunities exist to see some of the buildings of yesteryear, the mining equipment and houses, a tourist train as well as several walks and opportunities to climb some of the gigantic tailing heaps left behind by the miners. Moonta Bay Jetty is a magnet for swimmers during the day, and fishermen at dusk and dawn. Fish and chips on the beach following or preceding a walk along this majestic old jetty is a treat for young and old. While at the end of the day, watching the sun set from the seats alongside the beachfront or on the jetty itself is a treat for all. The majesty of the sun setting over the darkening horizon on a calm evening provide a kaleidoscope of colors and sight for the romantic in all of us. For those of us who are young enough and able to, Splash Town at Moonta Bay is a great place for kids to have fun with water. This year round water park features slides, fountains and waterfalls, and has plenty of tricks that can ensure fun for all the young kids. Entry is free, and the water park is open during school holidays, weekends, summer and spring. If you are looking for a closer tour of the Moonta Mines, then there are three heritage walks throughout the Moonta Mines area which enable visitors to get a greater appreciation of the copper mining environment and the conditions that early pioneers were faced with. My favourite walk commences behind the historic Miners Cottage, and takes visitors across some mine shafts, over some tailings heaps and up and close and personal with the remnants of last century's copper industry while wandering past the tourist train, tourist village, local museum and the not-to-be-missed Old Sweet Shop. The Old Sweet Shop in the Moonta Mines Tourist Area is the place to go to stock up on all the boiled lollies and other sweets from yesteryear. Toffees, nougats, peppermints are all available as well as a number of old style soft drinks and some good old fashioned service from the proprietors who are open daily for the passing tourist trade. 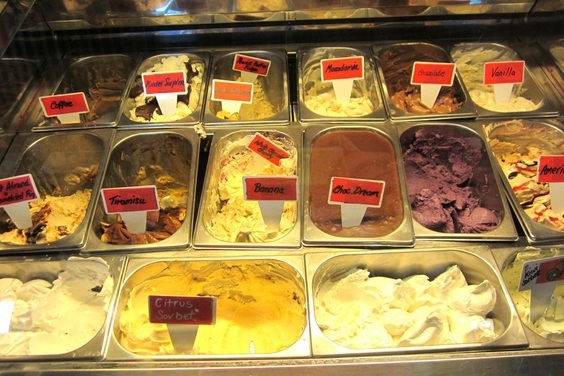 And what better way to end your trip than a visit to the Coffee Barn Gelataria. Located 2km southwest of town on the Maitland Road at a rural retreat, this Gelataria is beacon for tourists. With 16 flavours of gelati available and changed over daily, it is hard to go past the double or triple scoop waffle cone or cup. If gelati is not your cup of tea, or you actually prefer a cup of tea, then don't panic as they do also have a range of teas, coffees, milkshakes, pancakes, sweets and sorbets available. Alternatively for those arriving a bit earlier in the day, then the Coffee Barn also cooks a delightful breakfast using predominantly sweets as the base ingredient. Moonta is approximately 2 hours from Adelaide, and is part of the Copper Coast Triangle combining the historic mining towns of Moonta, Wallaroo and Kadina. Most of the attractions in Moonta are open all weekends, public holidays and school holidays, with intermittent openings during the week. Further details are available from Visitor Information Centre at the Moonta Railway Station, or from the Moonta website or their facebook page. Love Moonta , last visit I took home pasties for friends , very nice they were . Excellent review Steve.I would add that for your readers who intend visiting this historic and lively town;they should if at all possible,pay a visit to the wonderful Moonta Mines Museum.Your love of South Aust. is apparent and I have a feeling you may one day,produce a book covering the many towns you have visited!.By the way,the first photo of the Moonta Bay Jetty is very romantic and an enticement for those seeking a holiday destination.